Show off your style, personality and delicious food and with your menu. 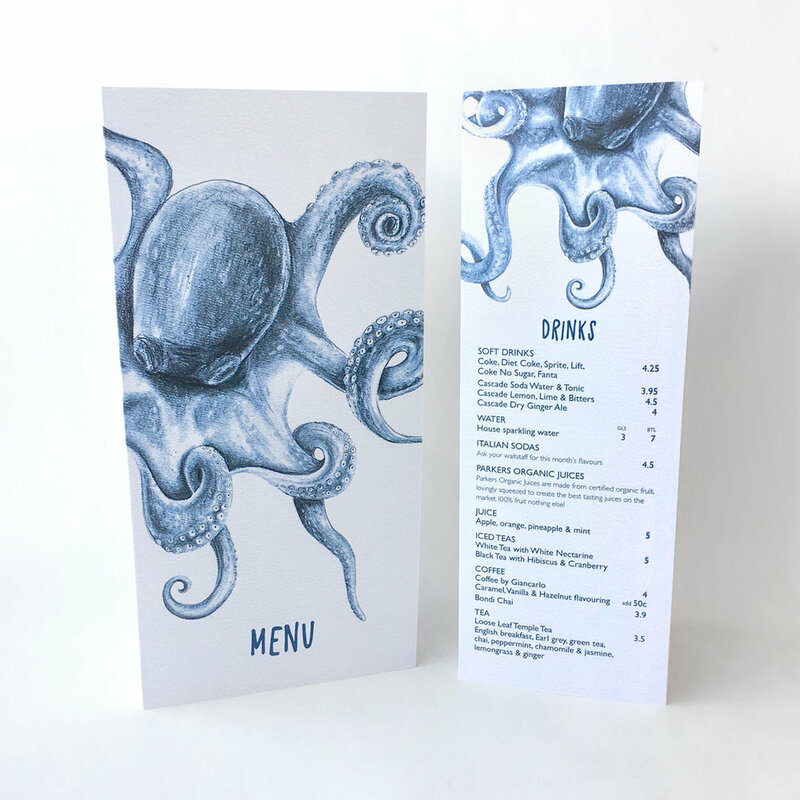 Talk to our graphic designers about a custom designed menu with easy to read typography, enticing descriptions and striking images that compliment your brand. 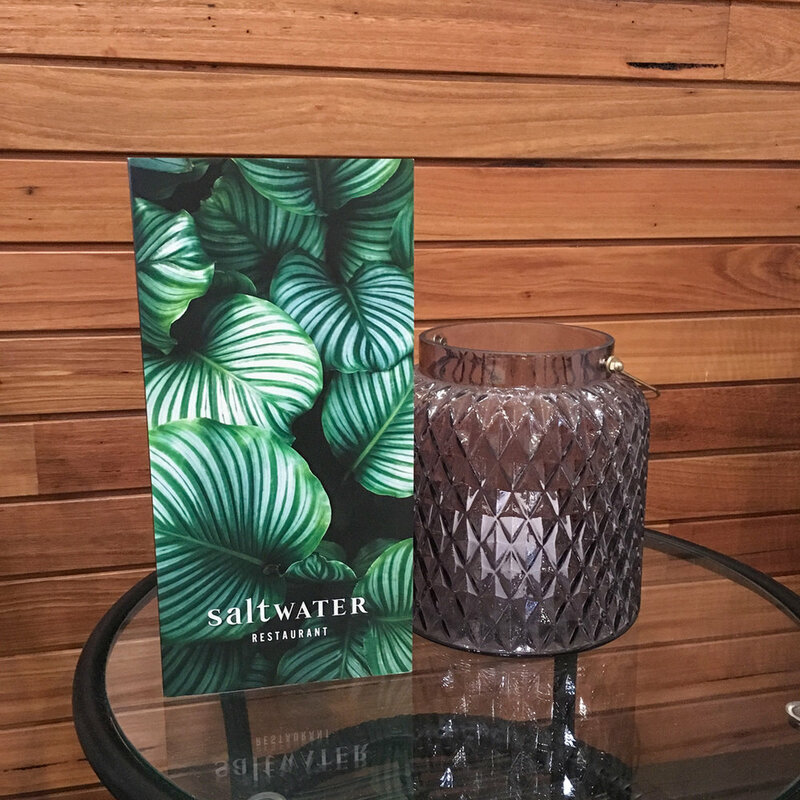 Colorfast offers a variety of printing options and finishes including matt, gloss and plastic laminated solutions that will ensure that your menu does not only impress, but is durable. If your menu changes seasonally, Colorfast can update your menu prices and description. 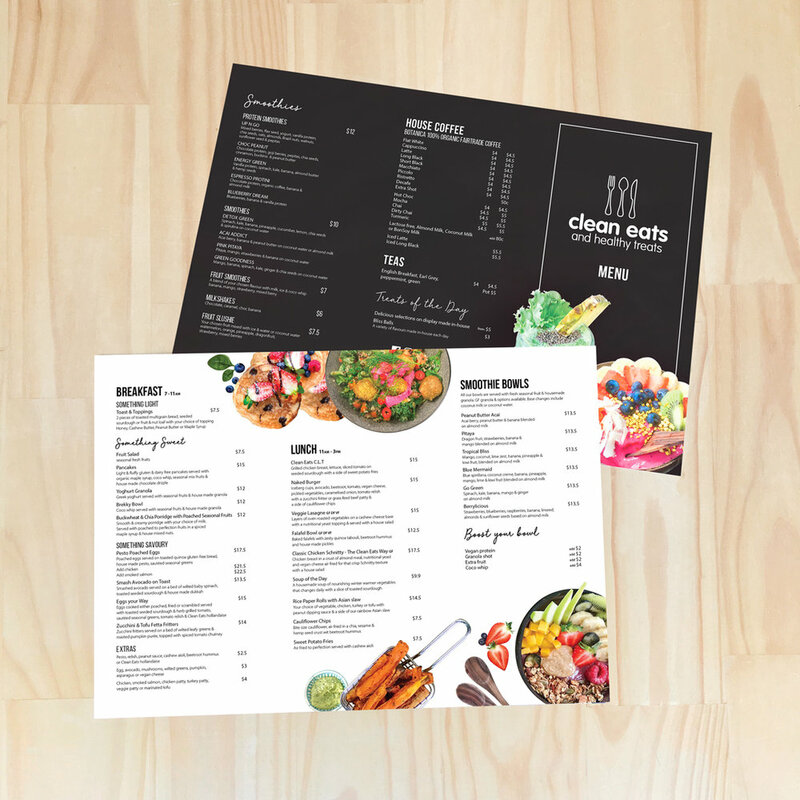 Additionally, we can totally redesign it or give your menu a little refresh with new colours, images or graphics which will excite customers about your new menu. 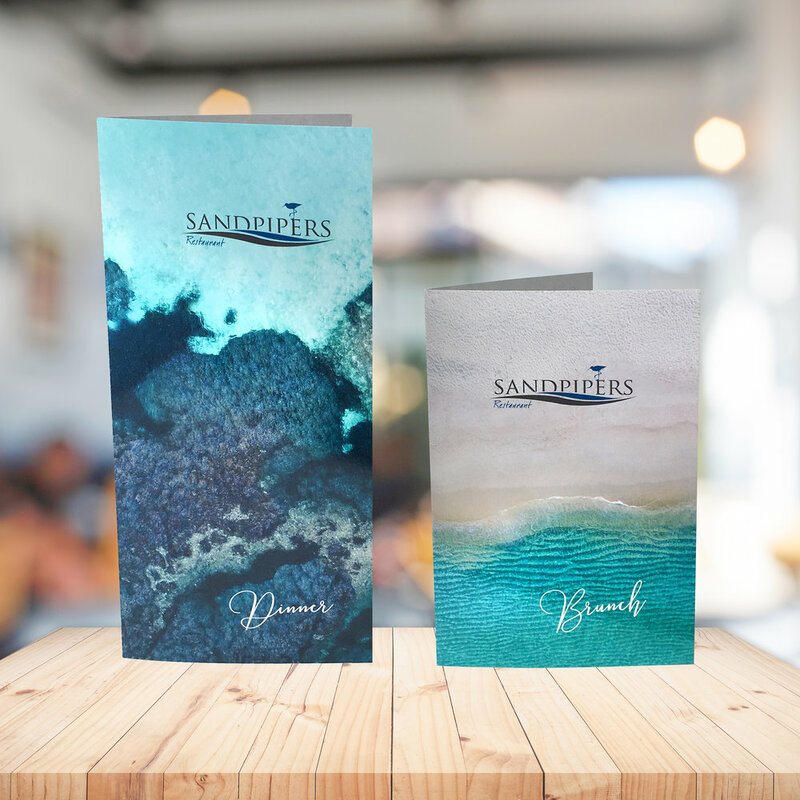 Take away menus are also a great way to encourage café or restaurant customers to hold on your menus. Colorfast also create specialty menus for dinner functions, corporate events, weddings and luncheons. What about online? 86 percent of consumers check out menus online before they dine out! So make sure your menu is online and attractively displayed across all devices form desktop to mobile. Colorfast makes designing and printing your café and restaurant menus easy. Talk to our graphic designers about an eye-catching design or email your print ready PDF to mail@colorfast.net.au with details and let’s discuss!